STYLISTA INC.: Should I Get? 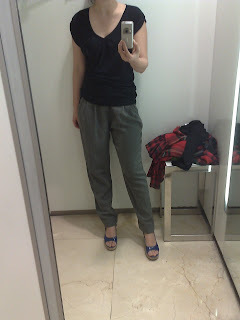 The second pic: very comfy to wear but I don't know if the look suits me or my personality. Love it though that the black top is made of Organic cotton. Hope they make more clothes that are eco-friendly. So, should I get? Hmmm. 4 comments on "Should I Get?" by the way van I have a tag for you HERE its super fun! I love both of your choices, plus the fact that you got it from Zara. 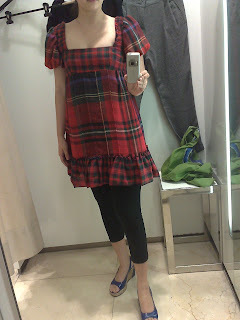 Zara, along with Terranova, H&M, promod, are my favorite boutiques in Milan! The red checkered dress looks cute, but too girly for me...if I'm gonna wear those, I'll choose the match below. :D But they're both cool and cute. we would like to invite you to our event. where can we email you our invitation? Boyfriend Pants - Gotta Have!